I was graced with the presence of these beauties this morning. And i didn't even have to leave my front yard. The one on the left is winking at me, i think. Aren't they just so sweet? :) they look much healthier than the deer in my neighborhood! 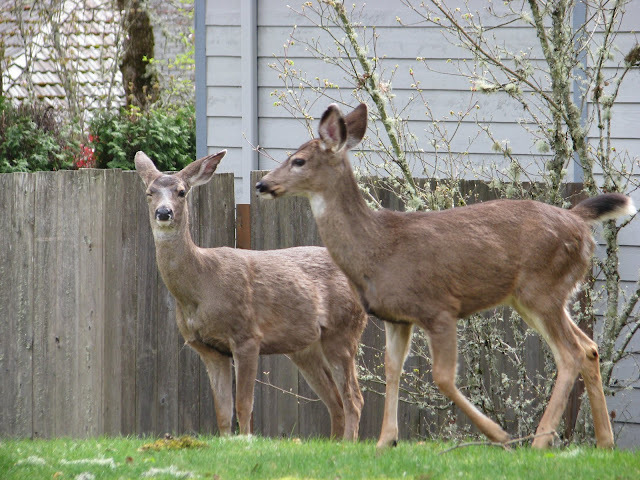 Oh so sweet- Sometimes when I see deer in person (not photos) it makes me want to tear up for some reason. they seem so gentle and graceful. She is winking at you!